One of the perks of teaching e-courses is that I get to meet the coolest online artist, writers and teachers, and sometimes I even get to take their classes. Today, I’d like to introduce you to some of my newest teacher friends, who all have some amazing spring e-courses coming up. Read the descriptions below and see if any speak to you! Give yourself the gift this spring of learning something new about yourself and your life. 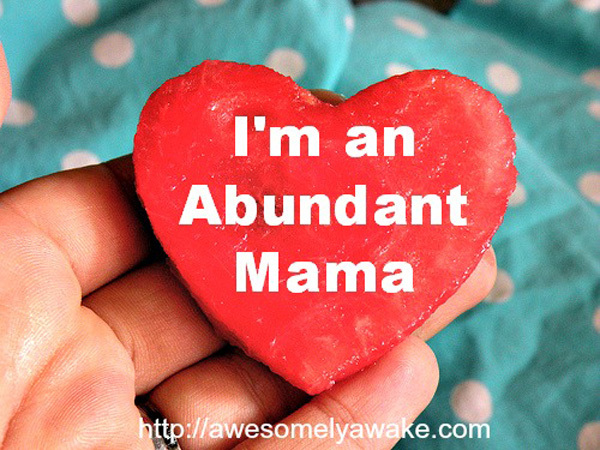 Shawn Ledington Fink, creator of Awesomely Awake, is offering a spring session of her e-course, Abundant Mamas. This 5-week e-course is designed to inspire mamas to create their own daily gratitude practice – a new perspective on their life and family. It will bring new life to old routines. It will strengthen the bonds you have in your relationships. It will provide comfort on those challenging days. This e-course begins April 1st. To register Click here to visit Awesomely Awake. Leah Cherry, creator of Skill It and Stephanie Perkinson, creator of Wellness by Design, have joined forces to create a new e-course called Feathering the Nest. Feathering the Nest is a beautiful, two week journey created to guide you into making your home a beautiful space that mirrors the love and dreams you hold in your soul. 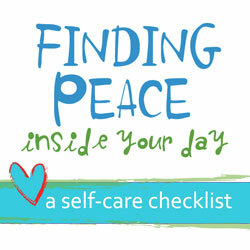 In this course you will make your home a place to unwind and connect, gather for cozy dinners, and nourish yourself in everyday moments. It begins April 1st and runs for 2 weeks. To learn more and register, visit here: Feathering the Nest. 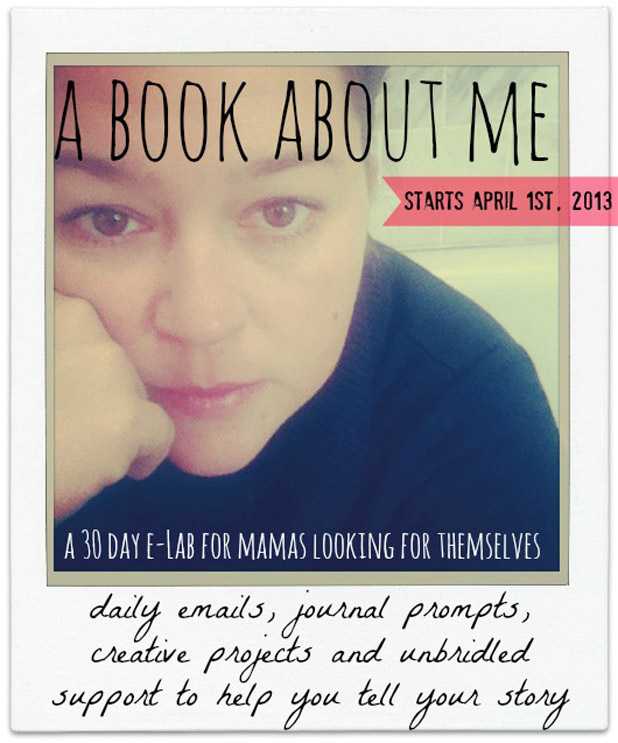 Amy Bowers, creator of Mama Scout is offering her e-course, A Book About Me. 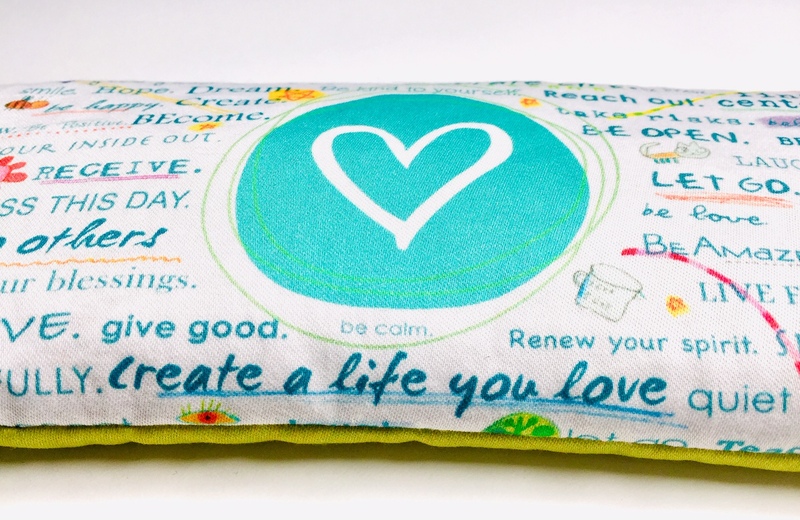 This Mama Scout e-Lab is for mamas looking for themselves. Through list making, memory mining, visual map making and attentive looking, we will clear the path back to who we are, noticing how we have changed and plotting who we want to be. Intense, creative and community-building, this lab opens the door and lets participants peek in to see what is possible. The 30 day e-course begins April 1st. To learn more and to register, visit here: A Book About Me. Elizabeth Sniegocki, creator of Natural Nester, is offering her e-course, A Sense of Place ~ Keeping a Seasonal Nature Journal –A Creative Journey into Nature & Self. A Sense of Place will guide you through the basics of keeping a seasonl nature journal. You’ll learn to record your observations, perceptions, and feelings about the natural world around you. 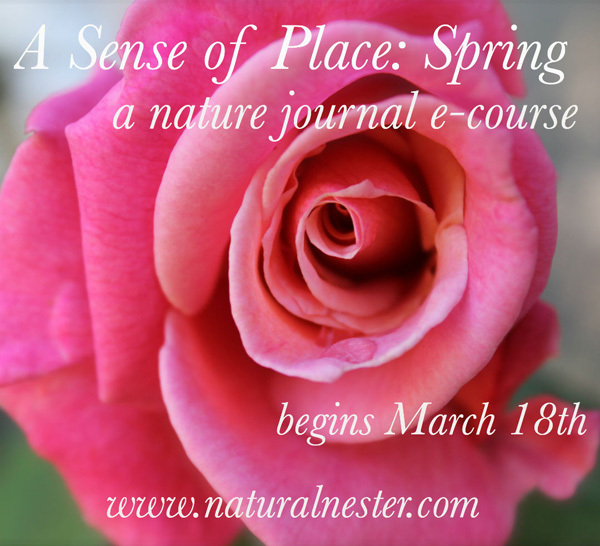 Connect to “your place” in nature with this 6-week journaling e-course, which begins March 18th. To learn more and to register, visit: A Sense of Place. 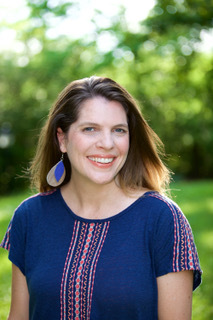 Gina, creator of Connecting Family and Seoul and her friend Kat, creator of Creative Playhouse are offering their e-course Connecting Family through Creative Play e-Workshop. 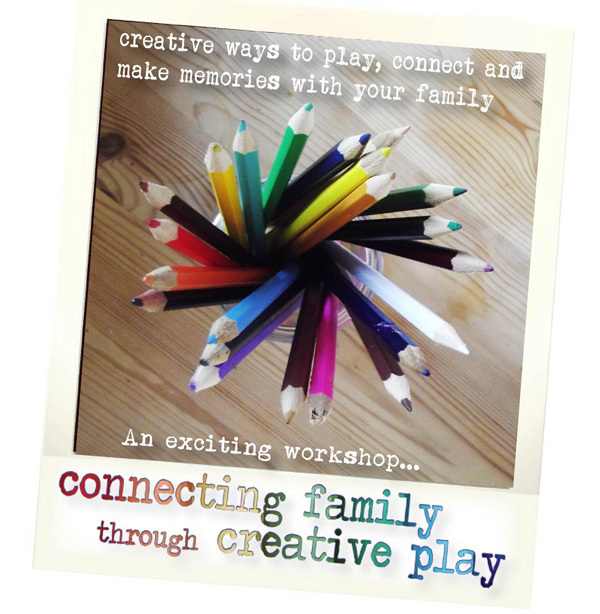 Connecting Family through Creative Play is a 30 day e-Workshop designed for families who wish to connect with their children on a daily basis through simple, creative play. It begins April 8th. To learn more and to register, visit: Connecting Family through Creative Play. In what ways will you prepare for and celebrate the coming of spring?